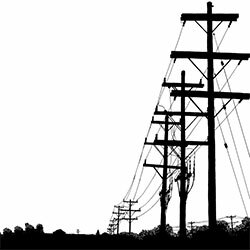 The Africa Development Bank (AfDB) has recently published a tender for the construction of a multinational Kenya – Tanzania high-voltage power line. According to the appraisals report, the project involves the construction of a high-voltage alternating current (HVAC) of 400kV transmission line (T-line) which will have a total length of 507.5 km, 414.4 km located in Tanzania, and 93.1 km in Kenya. The project, known as the Tanzania-Kenya Power Interconnection Project, has been set a total value of UA 199.86 million (USD 309.26 million). The African Development Bank (AfDB) is funding the project with a UA 102.79 million loan, while the Japan International Cooperation Agency (JICA) supports with a total amount of UA 63.48 million. The Governments of Tanzania and Kenya will also fund the project with UA 28.49 million and UA 5.10 million respectively. The project is part of the Eastern Africa Electricity Highway (EAEH) and will be connected the new grid through Isinya -Suswa 400kV T-line in Kenya, with a transfer capacity of 2,000 MW. The project’s objective is to deliver stable and reliable power supply in Tanzania and other East African countries, as recent shortages of electricity due to droughts made investors to avoid these countries since business costs were pushed up, explained a JICA’s disclosure. The current transmission capacity of Tanzania consists on 220kV, 132kV, and 66kV T-lines, while in Kenya consisted only on 220kV and 132kV power lines, not enough for the voltage level necessary to ensure power transfer. With this project they will be upgrade to 400kV that enables a maximum transfer of 1,250 MW capacity, enough to sustain electricity supply in both countries.